10am to 5.30pm. Art Workers’ Guild, 6 Queen Square, London, WC1N 3AT. 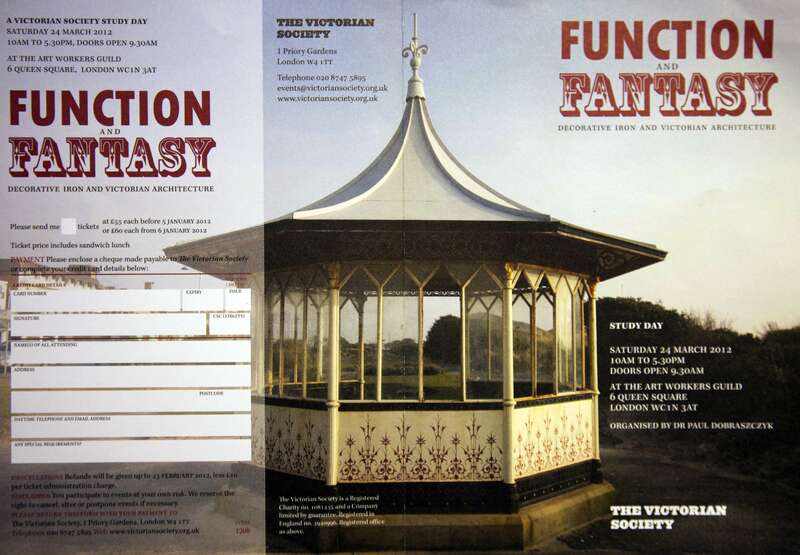 A study day organised by me (Dr Paul Dobraszczyk) exploring the development of decorative cast iron in Victorian architecture. Victorian architects and theorists made a clear distinction between ‘building’ and ‘architecture’: for them, a building became architecture only when historical references were invoked. The development of new constructive materials, in particular cast iron, directly challenged this perceived distinction. A new material possessed no history: how, therefore, could it be architectural? 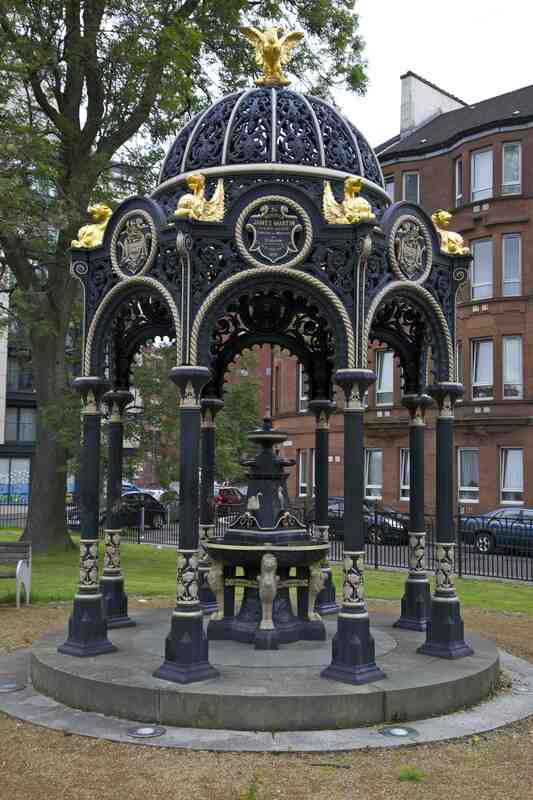 The development of decorative cast iron in architecture – the subject of this study day – was seen as a solution to this problem, and it flourished in the second half of the nineteenth century when it was applied in an astonishing variety of contexts: street furniture, exhibition buildings, seaside architecture, railway stations, industrial buildings, glasshouses, museums, market halls and arcades. it was a time when some architects, engineers and theorists believed that the fusion of iron and historical and natural motifs would both enact a reconciliation of art and technology and also create a new, modern architectural language. 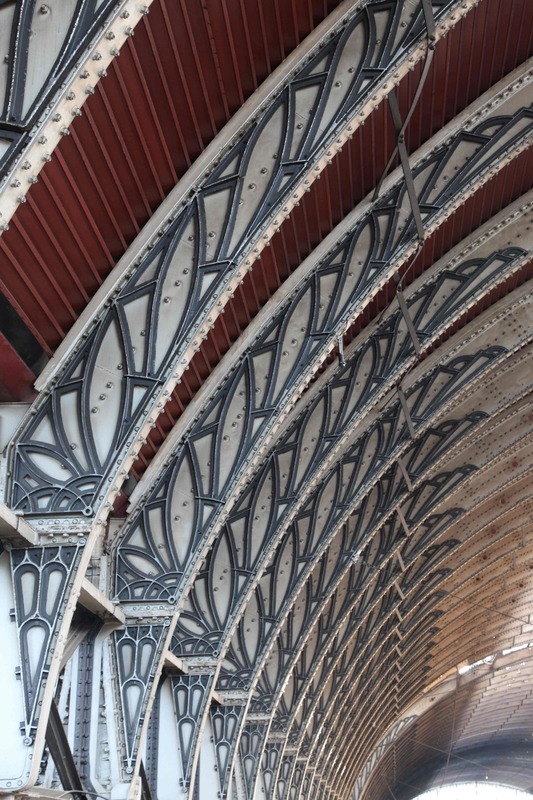 Despite much new research on the structural use of iron in this period, its decorative use in britain has received no significant attention from historians since the early 1960s, mainly as a consequence of its condemnation by influential champions of architectural modernism. in the light of the waning of modernism’s dominance and a questioning of its nineteenth-century origins, it is high time for a reassessment of this rich but neglected subject. To book your place go here and download the booking form. Thanks for this link. 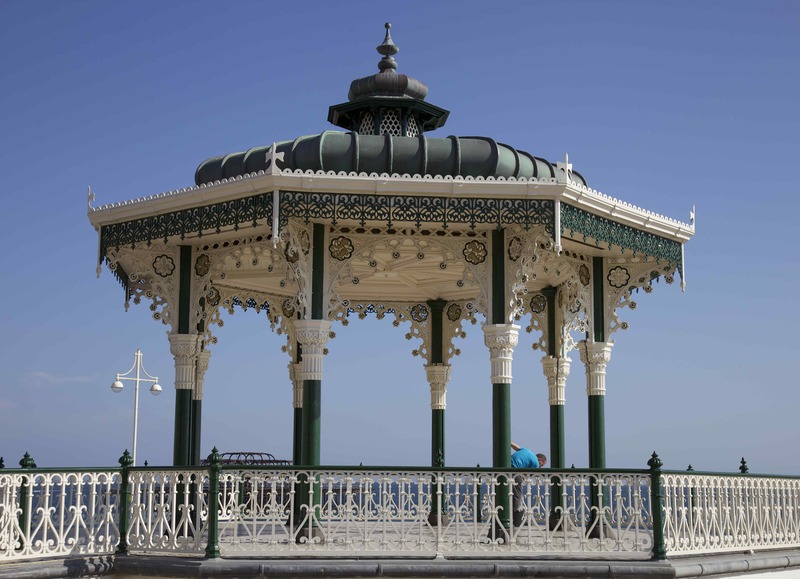 Bandstands are one of my research subjects – any idea where they might originate from? Pleasure gardens? China? 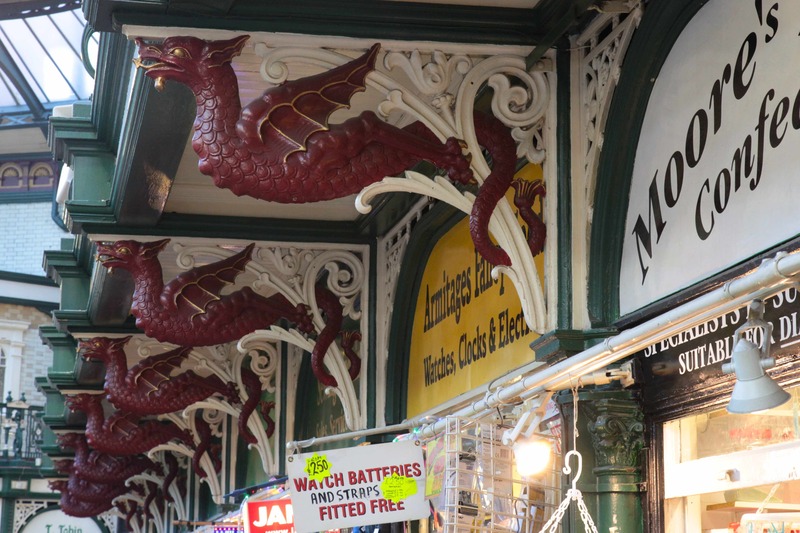 the architects in the day must have gone wild when cast iron became a relatively cheap alternative to stone masonry –Great blog you have! Thanks for the encouraging comment, Rosa. I think some architects embraced cast iron, but many more thought it vulgar, precisely because it was so much cheaper to reproduce than other materials.